We are experiencing an El Niño event all over the globe, seeing weather patterns that are drastically different from our seasonal norms. The Laikipia region in central Kenya is no different – in a time when it should be dry, the region has been doused with much higher rainfall than the typical average. 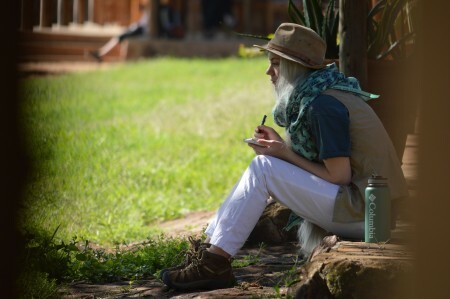 The TBI students get to experience a green, lush Mpala rather than a dry landscape. 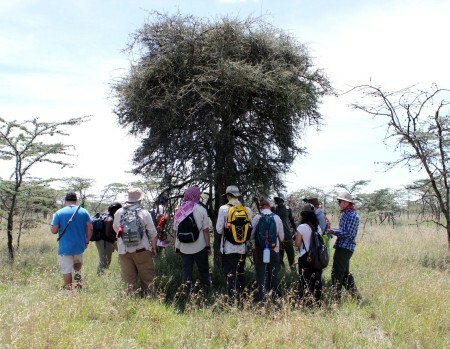 We couldn’t ask for a better opportunity to learn about the vegetation ecology at Mpala. This module introduces students to African savannah (Mpala, Laikipia) and dryland (Illeret, Turkana) ecological systems. Ecology involves the interactions of plant and animal individuals, populations, communities and ecosystems. Over the course of these two weeks, we will learn about how to address these different levels of ecology through studies of behavior, population dynamics, community interactions and broad patterns within ecosystems. Everything is tied together in the ecological system, and vegetation ecology sets the stage for understanding all of the life that depends upon it. The first week of the Ecology module has begun, and the students and I have been so fortunate to learn from leading local experts in the field. Kimani Ndung’u specializes in the sustainability of local vegetation within the Laikipia region. Mr. Ndung’u is a research assistant at Mpala research center and is part of important research initiatives investigating the impact of local herding practices and climate change on the environment. The majority of communities within the Laikipia region (and across most of Kenya) make their livelihoods from herding livestock. From their persepctive, livestock are wealth more so than money (one cow is equivalent to approximately $2000 USD). Therefore, the interface between vegetation ecology, climate change, and human landuse has very real implications for the lives of people here. Research initiatives seeking to understand this interface depend on data collection methods that can quantify which plant species are present and how abundant they are over time. 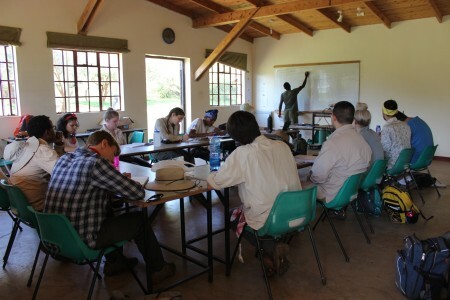 The students learn about methodologies for studying vegetation ecology from Mr. Kimani Ndung’u in the classroom at Mpala Research Center (Photo by Martha N. Mutiso). The Mpala conservation area encompasses several different habitats. 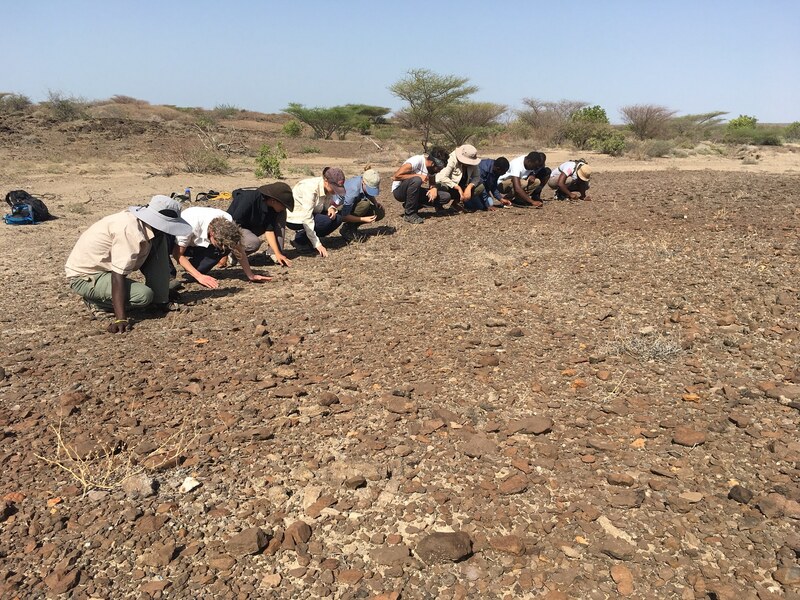 The students learned field methods in two different areas: the red soil and the black cotton soil. 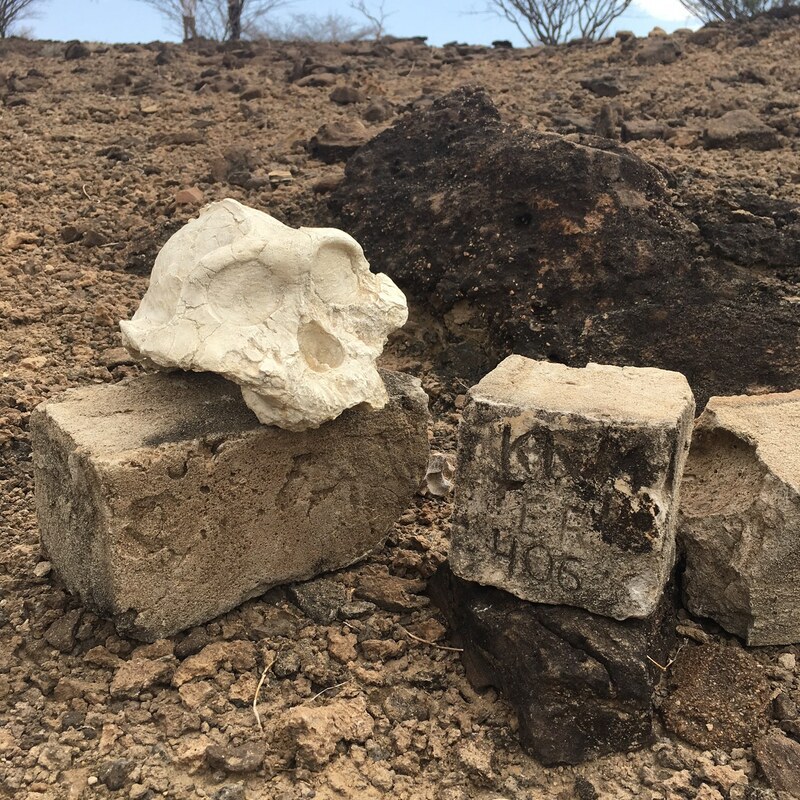 These different soils are home to two very different sets of vegetation. The main distinguishing factor is that the red soil habitat houses a large variety of trees, shrubs and grasses, while the black cotton soil provides a specific niche for only a few plant species. 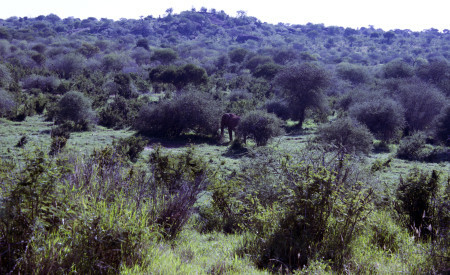 The dense and diverse vegetation in the red soil habitat at Mpala. 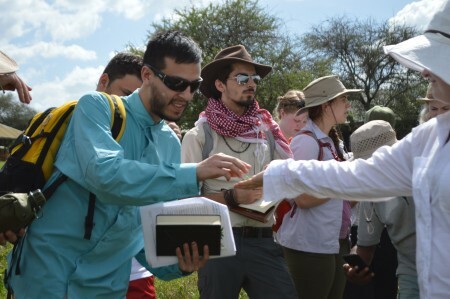 The students hike through the black cotton environment to study its vegetation composition and coverage with Mr. Ndung’u. The ‘Whistling acacia tree’ (named after the sound the wind makes as it blows through the trees’ branches). 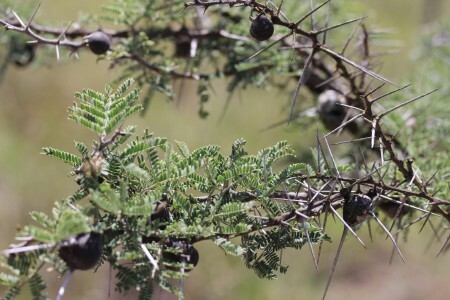 This tree provides a home for several species of ants who take refuge in their swollen thorns. In turn, the ants provide protection from animals who consume them – even large mammals such as black rhinos. Understanding the vegetation ecology in these two areas requires data collection using several different field methods. 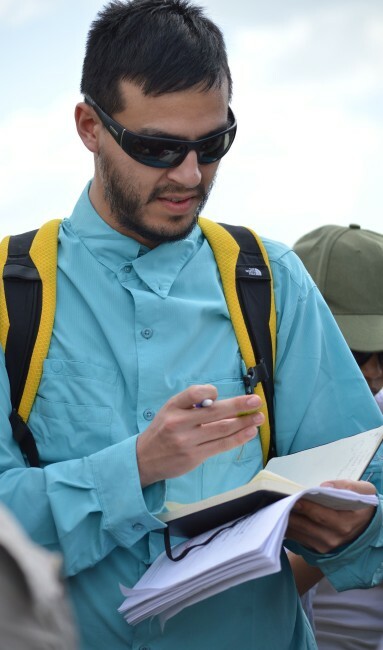 Transects are an important source of data such as what species of plants are present, the abundance of these species, and where the plants are in space. Students learned how to set up a 25 meter transect line and began identifying, counting and measuring the different plant species. Data generated by these provide an in depth picture of plant community structure within these habitats. 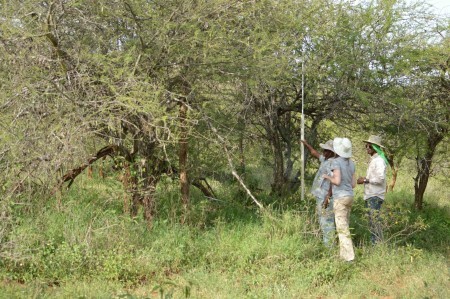 Students Tadele, Milena and Yemane measure the height of an acacia tree on their transect (Photo by Martha N. Mutiso). 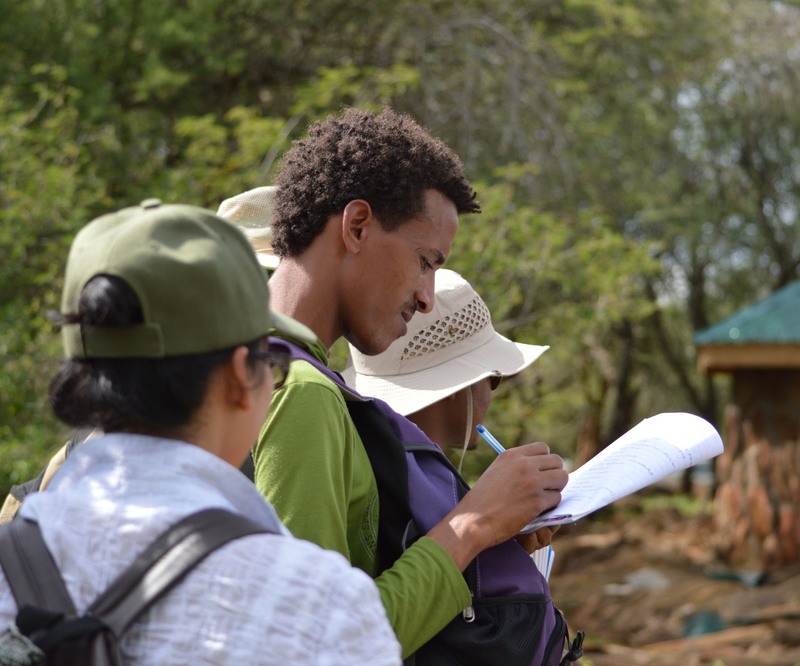 Mr. Ndung’u instructs student Adriadne how to lay the measuring tape for a transect (Photo by Martha N. Mutiso). Field notes serve as a key resource for any scientist, providing a place to record ideas and observations along the way. Field school students are practicing this crucial skill, drawing pictures of different plant species and learning how to identify and name them. Plants can be identified based on characteristics, such as leaf shape, presence/absence of thorns, texture, scent, and many more. (Photo by Martha N. Mutiso). Students Niguss, Ryan and Kait write down their thoughts and observations as we all learn about plant species identification at Mpala (Photo by Martha N. Mutiso). TA Hilary passes a leaf from a mint plant to student Ryan so that he can observe its distinctive scent for identification (Photo by Martha N. Mutiso). The students gather around as Mr. N’dung’u teaches them about the specific acacia tree species that grow on the black cotton soil. 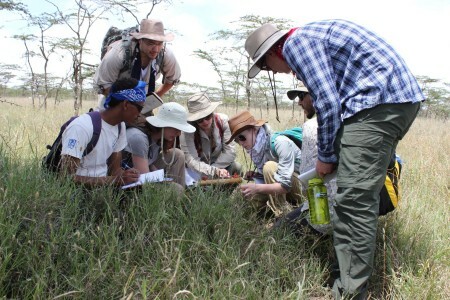 Students gained practical experience in collecting plant species coverage data using both the quadrat and pin-frame methods. Long-term collection of these data provide important information about plant species composition, structure, coverage and abundance that can be used to understand changes due to both human land-use and climate change factors. 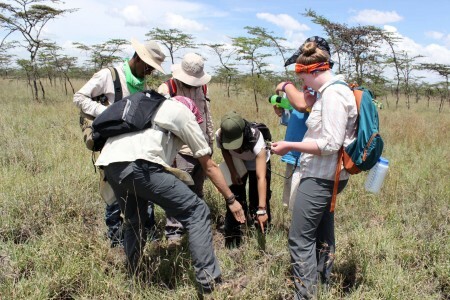 A team of students (Yemane, Tadele, Even, Adriadne, Max and Maddie) uses a quadrat to estimate the plant species coverage and composition in the black cotton soil environment. 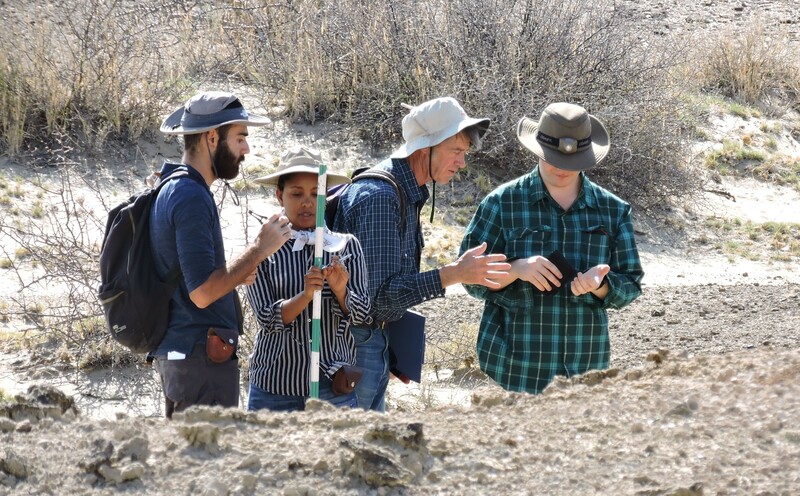 Team 2 students (Rob, Ryan, Kait, Jen, Milena, Niguss and Joe) learn how to use a pin-frame to estimate plant species coverage and composition in the black cotton soil habitat. Moving up the food chain, countless animal species are direclty (or indirectly) impacted by changes in vegetation – adapting their behavior according to the availability and predicatbiliy of their food sources. 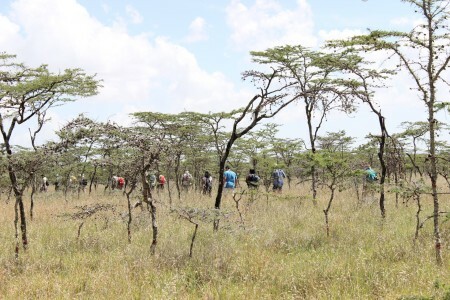 Vegetation ecology provides the basis for understanding the ecology of all other wildlife here in Laikipia. Most importantly, it is key to conservation efforts seeking to protect some of the world’s most iconic endangered animal species. More on this in the near future, so check the blog again soon! 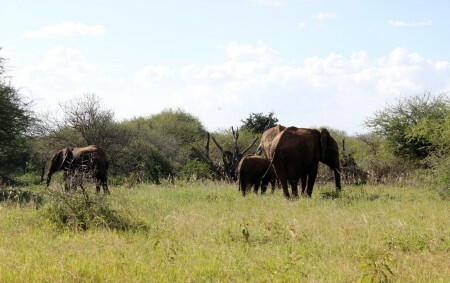 A family of elephants enjoys their meal of various plants in the red soil habitat. Note how much more sparse this area is due to grazing by large herbivores.